The Ukok Plateau has not yet shared of all its secrets, and new treasures are waiting to be discovered in permafrost alpine tundra. As from the morning of day 3, we become nomads and travel freely across one of the most beautiful and hardly accessible areas of Russia. This alone says a lot! Wild and rough beauty of these places will appeal to those seeking something unseen before, something special. If you're looking for a true wilderness in our glibalised world, a place with ancient tours, Ukok is the place for you. Until recently, this frontier zone was closed for international tourists. 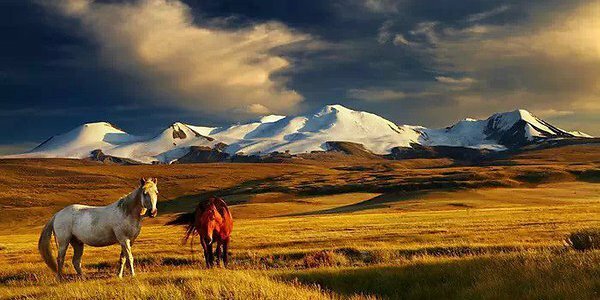 Powerful Siberian rivers start here, on this plateau of the Southern Altai. Unique climate helped to perserve glaciated landscape and all the largest Altai glaciers are located here. We camp for overnights at a new location almost daily. Sometimes, we stay and relax, and simply enjoy the tranquility of the environment. We make a circle across the Ukok Plateau. Sometimes we stay and fish. The area is full of fish, there are great hunting options as well. And finally , we return to where we started by the end of day 13.